The search for extraterrestrial intelligence (SETI) has been going for more than 50 years, with ever more sophisticated detection systems and creative ideas about how E.T. might come calling. Astronomers haven’t heard anything yet, but perhaps it’s only a matter of time. Check out what they’ve been looking for, how they would know if they found it and what the aftermath might be. The universe emits many signals of its own. Black holes send out bursts of radio waves, X-rays and gamma rays. The dusty disks of forming planetary systems shine in infrared waves. Scientists must separate those so-called dumb signals from the smart signals that might come from extraterrestrials. Because of that necessary sifting, they assume that aliens would try to make their messages look different from the natural pings of the universe. In general, astronomers look for two hallmarks of technology. Frequency compression: Narrowband signals come in on a small range of frequencies, like an individual radio station. Broadband signals spread across a wider range, like a broadcast that contains the whole FM band at once. Natural objects can only make signals so skinny, so if scientists see one that covers a tiny range of frequencies — like a laser or a satellite ping — they know it had to come from technology. Time compression: Scientists look for signals that last only for a flash and repeat, perhaps in a pattern that looks purposeful. BONUS! Almost-but-not-quite-natural-looking: Astronomers also keep their telescopes’ eyes out for anything that looks nearly natural. When researchers discovered fast radio bursts — superquick bursts that release at least as much energy in milliseconds as the sun does in a month — they threw around “aliens” as a (dim) possible explanation. And when astronomers discovered a star in 2015 whose light seems to occasionally get blocked by something big, one researcher proposed it was an alien megastructure. We still aren’t sure what causes either phenomenon, but scientists are studying them as natural emissions from the universe. You wouldn’t dip a glass in the ocean, come up with no fish inside and conclude, “No fish exist.” Astronomer Jill Tarter often says that’s where humans are with SETI. To fill enough glasses to get a good sense, researchers want to look at 1 million stars within 1,000 light-years of Earth and scan all the frequencies between 1 and 10 gigahertz. When they’ve done that, maybe they’ll have caught a fish or two — or will at least be able to say more about how many swim in the cosmic sea. Here’s how close they’ve gotten, proportionally, to that goal. 99.959% How much searching astronomers still have to do to “cover” 1 million stars. 0.041% How much of that search they have completed, for all radio SETI projects. Sometimes, fictional film people meet extraterrestrial beings. When the encounters are good, they are very, very good. But when they are bad, they are horrid — and leave humans destabilized or dead. Here, we’ve ranked some of the most famous first-contact movies according to how naughty or nice the aliens are, as well as how realistic they, their technology and Earth’s response are. Just as you wouldn’t bird-watch in interior Antarctica, you wouldn’t search for aliens in inhospitable environments. Astronomers have discovered thousands of planets, but only a few so far meet our basic requirements for possibly hosting life: being rocky and in the habitable zones around their stars (where water can stay liquid). Here are a few potentially life-friendly star systems where astronomers will aim their alien-seeking telescopes. The star system closest to our sun has a planet — Proxima b — similar to Earth’s mass. No one knows if it has any water, but it’s just 4 light-years away, so maybe we could find out in person someday. The second planet in this star’s solar system is the next-closest Earth-ish-sized planet in a habitable zone, after Proxima b. It’s just 14 light-years from where you’re sitting right now. A mere 22 light-years away, this solar system has three super-Earth planets — between Earth’s and Uranus’ mass — in the habitable zone. And in the hunt for extraterrestrial life, every possibility counts. An artist's rendering of the TRAPPIST-1 system, showing where water is gaseous, liquid and frozen. Some 39 light-years away, this sun has three potentially rocky planets in its habitable zone and — bonus — four additional rocky planets. That’s seven Earth-ish-sized planets in one spot! About 561 light-years away, the fifth planet discovered in this dwarf-star system circles its star’s habitable zone. The planet was the first astronomers found with a size similar to Earth’s. 1960 Astronomer Frank Drake performs the first modern SETI experiment, called Project Ozma (after a Wizard of Oz character). With an 85-foot radio telescope in Green Bank, W.Va., he looks at two sunlike stars for signs of alien technology. 1961 A small SETI conference takes place in Green Bank, at which Drake presents what’s now called the Drake Equation, which scientists use to estimate how many extraterrestrial civilizations may exist in our galaxy. 1973 Ohio State University undertakes a SETI program with its Big Ear Observatory. 1979 The University of California, Berkeley, begins a long-lived project called SERENDIP — the Search for Extraterrestrial Radio from Nearby Developed Populations — at Hat Creek Observatory in Northern California. 1983 At Harvard University, astronomer Paul Horowitz launches Project Sentinel, using an 84-foot radio telescope. 1988 NASA endorses its SETI studies, and scientists begin building the instruments they need to perform a search. 1992 NASA’s SETI project, now the High Resolution Microwave Survey (HRMS), turns paperwork and plans into a physical project at Goldstone Observatory in California and the Arecibo radio telescope in Puerto Rico. 1993 Just a year after its start, HRMS ends when Congress cancels its funding. 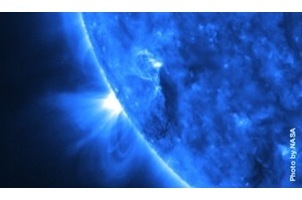 1995 The private SETI Institute raises philanthropic funds and starts Project Phoenix, a reincarnated version of HRMS. 1995 Horowitz continues his SETI work at Harvard with the Billion-Channel Extraterrestrial Assay (BETA). 1999 Berkeley launches the citizen science project SETI@home, which lets your computer, in its downtime, dip into SERENDIP data. 2005 The SETI Institute begins building a telescope dedicated to searches for aliens. 2015 METI (Messaging Extraterrestrial Intelligence) International begins an optical SETI program at the Boquete Observatory in Panama. 2016 The $100 million Breakthrough Listen project, sponsored by Russian magnate Yuri Milner, begins a 10-year search that includes both radio and optical strategies. How we might hunt alien signals in the future. Dyson sphere searches: Energy-hungry civilizations might put Dyson spheres around their stars. These structures collect visible light and transform it into infrared radiation (heat energy) that would show up as unexpected excesses in astronomers’ data. Broadband searches: A broadband message, spread across many frequencies, can encode tons more information than the more presumably typical narrowband one. But the message would then be spread thinner and harder to pick up. Sophisticated algorithms are learning to sort through data to find these complex missives, just in case. Optical SETI: The search for visible-light signals from extraterrestrials is just beginning, as the technology that detects the light inside telescopes becomes more powerful, affordable and able to detect faster flashes. And who knows? Maybe aliens like lasers. Should We Transmit a Message? In addition to listening for E.T.’s phone calls, we could also try catching his attention. But scientists aren’t sure whether that’s a great idea. Hawking has warned that broadcasting our existence could end with an unpleasant visit from highly evolved aliens. “Such advanced aliens would perhaps become nomads, looking to conquer and colonize whatever planets they can reach,” he said in 2010. The history of our own species backs him up.